get the Sony Product Warranty Coverage, and additional 3 months warranty period. Please click here for more information on product warranty. 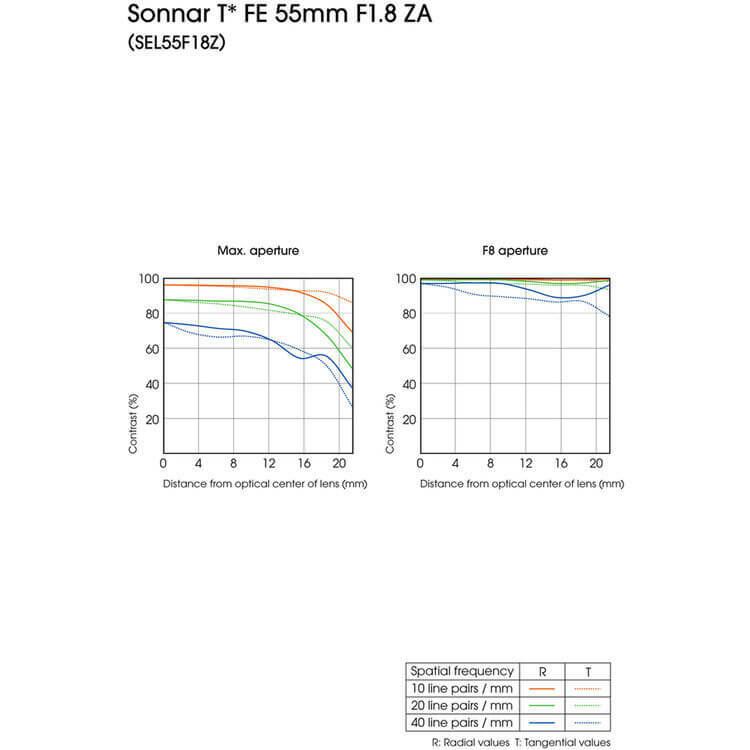 A perfect pairing for full-frame Sony E-mount cameras, the Sonnar T* FE 55mm f/1.8 ZA Lens offers excellent resolution and a fast f/1.8 aperture for photographers looking for a high-performing normal-length prime. By using three aspherical elements and Zeiss's legendary T* anti-reflective coating, this lens exhibits an absolute minimum of aberrations and flare. It also has a linear autofocus motor and internal focus design for fast, responsive AF and achieving a minimum focus distance of 1.6'. 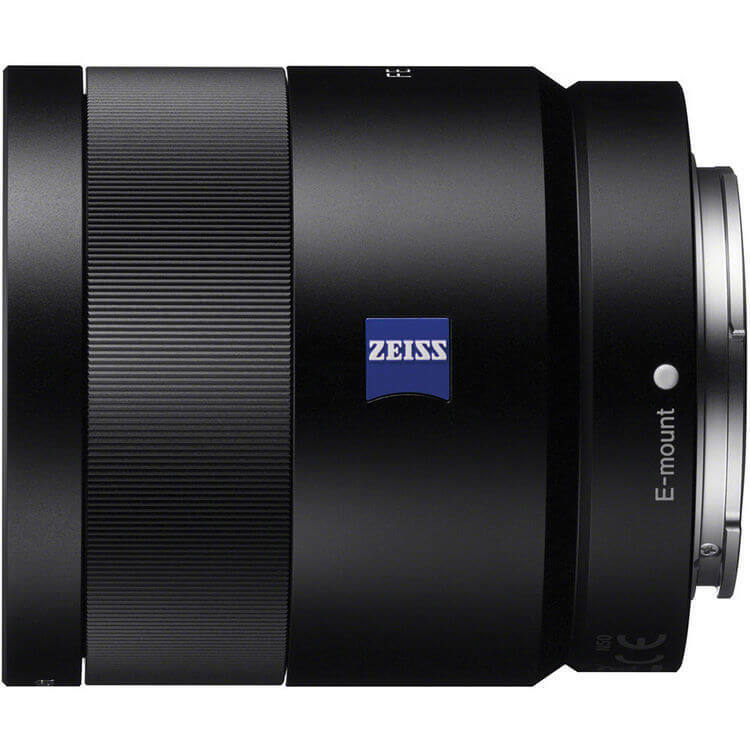 Additionally, the lens is dust and moisture resistant and uses a nine-blade circular diaphragm for smooth, rounded bokeh. 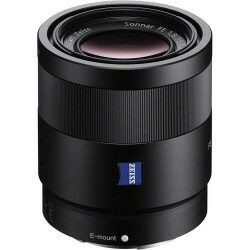 Based on the Zeiss Sonnar optical concept, this lens uses a design with seven elements in five groups that helps achieve the large maximum aperture of f/1.8 while simultaneously reducing flare and improving contrast. A normal-length prime designed for full-frame E-mount cameras, this 55mm lens will provide a excellent perspective for street photography, portraits, and general-purpose shooting. It can also be used on APS-C format cameras where it will provide an equivalent focal length of 82.5mm. The f/1.8 maximum aperture allows users to create images with shallow depth of field and work in low-light conditions with relative ease. 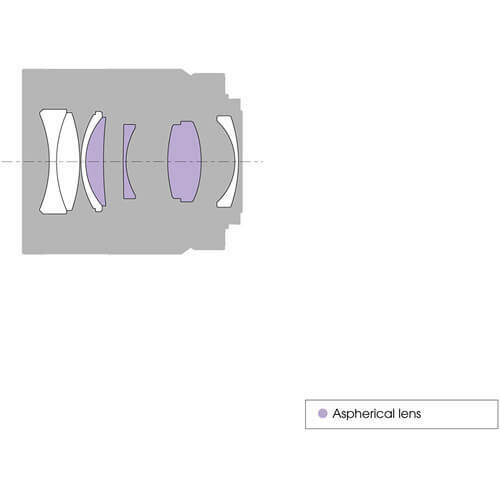 Three aspherical elements, including two double-sided, are incorporated in the lens design to reduce astigmatism, field curvature, coma, and other monochromatic aberrations. Rounded nine-blade diaphragm contributes to a pleasing bokeh quality when employing selective focus techniques.